This morning the Committee on Climate Change published its annual progress report, issuing an urgent call for government to fill policy gaps within the Clean Growth Strategy necessary for the UK to meet its binding fourth and fifth carbon budgets. The renewables lobby has responded strongly to the new report, echoing many of the committee’s – and Lord Deben’s – comments. "For three years now the Committee on Climate Change has been urging the government to get behind the most popular and cheapest renewables. With investment in renewables dropping alarmingly and the UK off track on its carbon budgets, the government must now surely listen & act. 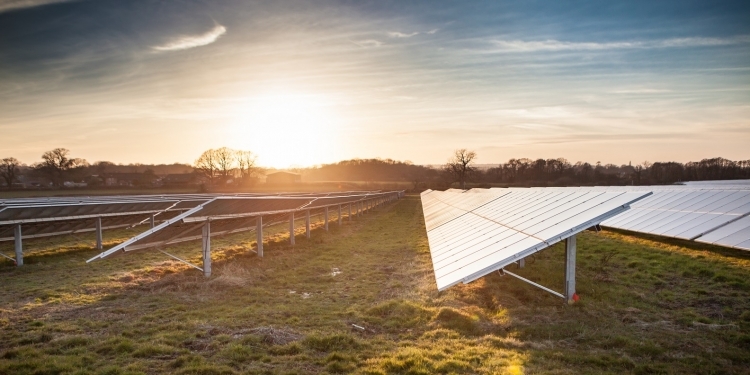 “There is no justification for holding back solar in the UK. Not only is solar the British public's favourite energy technology, rooftop solar on businesses and factories doesn't even need any public subsidy. All it needs is for government to reverse recent nonsensical taxes and to urgently clarify the policy framework for local renewables going forwards. The same applies to large-scale solar. Again, all government needs to do is provide access to long-term contracts for the development of solar farms which can be delivered effectively without subsidy from the consumer. “A failure to promptly remove self-defeating barriers to solar power will leave the UK falling even further on behind in what is already the biggest clean energy market in the world." “The CCC’s report highlights another worrying increase in emissions from buildings over the last year. Eight months after the Government’s Clean Growth Strategy was published, the Committee is also right to point to a lack of concrete policies to deliver the emissions reductions in buildings that the Strategy promised. This must be urgently remedied. “UKGBC is calling on the Government to set out a pathway to make all new buildings genuinely net-zero carbon by 2030; to put in place effective incentives for home energy efficiency, particularly for able-to-pay homeowners; and to introduce incentives and mandatory operational energy ratings to drive business energy efficiency. "This is a stark warning from the independent advisory body that the UK government is unnecessarily increasing the cost of tackling climate change by preventing the cheapest technologies, like onshore wind and solar, from competing in the electricity market. "Enabling parts of the UK, and particularly Scotland, to deploy more onshore wind could provide a net payback to consumers of £1.6 billion and create 8,500 new long-term jobs. "The report also warns that in other areas, like heat and transport, the UK government has too few policies with too little ambition and that, as a result, the UK is off-track to hit its future emissions targets. "Low-carbon sectors need long-term clarity on future policy if they are to continue to deliver economic and environmental benefits across the UK." “With reports emerging that taking action on electric vehicles and charge infrastructure is good for the economy, and with the Committee on Climate Change highlighting that we need to do more to meet our carbon commitments, it’s clear that there is more the government needs to be doing to position the UK as a transport leader. “As expected, the CCC emphasises once again the fact that current policies will not meet the fourth and fifth carbon budgets. “The Committee said in January that ministers need to close that policy gap by the end of the year – and halfway through it, government has not enacted any new low-carbon measures. Its report is remarkably explicit in advising reliance on simple, proven, low-cost options, including cutting energy waste and re-booting onshore wind power, while also tackling sectors such as transport where emissions are not coming down.